"He is perfectly nice and steeped in the State Department culture, but irrelevant to serious policy makers," the official said. "He oversees a team that promotes a normalized relationship with Iran and has promoted anti-Trump speakers throughout Germany." Grenell's absence on the international stage has only become more noticeable in recent months, as the Trump administration pursues a last minute diplomatic effort to strengthen the Iran deal or scrap it by May, sources said. The Free Beacon first reported that former Secretary of State Rex Tillerson was ousted from the administration due in large part to his efforts to walk back a series of demands by Trump that European allies crackdown on Iran's ballistic missile program. As negotiations continue, administration insiders have cited Germany as a prime roadblock in these discussions. 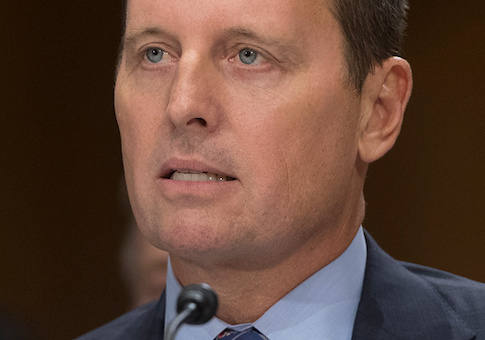 America is failing to exert its diplomatic muscle in Germany as Grenell's nomination languishes in Congress amid fierce opposition by Democrats. This entry was posted in National Security and tagged Germany, Iran, Trump Administration. Bookmark the permalink.